Opinion Is Secretary Gates Disloyal to Obama? My early days of being an activist seem so simple now. A hot head reporter or radio personality would challenge my actions and I would simply shut him/her down with my quips and verbal jockeying. An IRS series of audits, police interrogations, being pulled over by the state police, for no reason, were some of those tactics back then in Indiana. A strange car following our sons home from school was about the lowest tactic. Our opponents, politicians and local business owners found that we were afraid of nothing. We took a vow of near poverty. That meant we had nothing serious to lose and they had nothing to leverage us into submission or contrition. One of my first examples of this was during the first Clinton Administration. The number two person at the Small Business Administration was a sister, who decided that the SBA would no longer get into the procurement business and just concentrate on lending and technical support. That was war to us and we prepared for battle. We raised some serious noise on a national basis and this caught the attention of the White House. Some elderly guy met with some of our principals. No one really knew who he was. But when he realized that we were prepared for “war” he made a suggestion. “If I talked to Bill (the president) and told him if we removed this lady from her position, the problem would go away – would that work?” We said yes. Two weeks later she was gone! She went to one of Vernon Jordan’s companies (He was a board member for about a dozen Fortune 100 companies). That spoke volumes. It also made us aware that there was a force out there that was more powerful than the President. As the “body counts” under the Clinton Administration started to multiply and the overwhelming scandals started to appear, it was so clear to me. Forget about the movies, this was the real “Empire.” My advocacy remained strong, but I purposely remained under the “radar” of these real power brokers. So I played this game. A few “jabs” here and a “duck” there, progress was being made. In fact, our positions were similar to the platform of President George W. Bush. 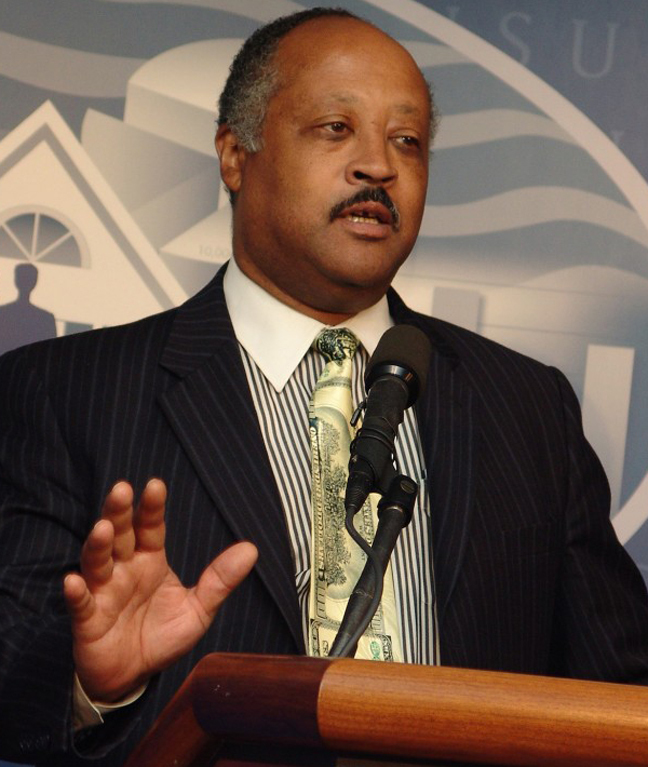 The pro-business arena saw talent in me and the National Black Chamber of Commerce. We were on a major roll and considered the voice of Black business. Fortune Magazine, the House, the Senate and cable television referred to the NBCC to measure the mood of Black business. Then, as Earth, Wind and Fire would say: “Something happened along the way and what used to be happy turned sad”. The presidential race for 2008 brought the fiercest political battle in the history of the United States. It wasn’t Democrats versus Republicans any more. It was do or die. There were a lot of organizations: environment, taxation, education, military, labor, economic parity, civil rights, homosexual, etc. But now, there was a major movement to take all of these organizations and classify them as Group 1 and Group 2. Saying liberal or conservative wasn’t enough. Terms like Progressive and Free Market became defining roles. Thus, America and the western world for that matter became divided into two groups of tribes. We, the NBCC, found ourselves classified as Free Market and that was cool to us. The Progressives came up with this project named Barack Hussein Obama. Muslim name, African blood mixed with Caucasian blood and early roots in Islamic Indonesia. It was unique to say the least. So, when the progressive groups like Greenpeace, 1 Percenters, SEIU and other hostile organizations launched a physical attack on the U.S. Chamber of Commerce and its members the format was set. They viewed capitalism as their enemy and a socialistic/communistic philosophy as their mantra. The White House was on their side and they would not compromise in the least. The world, as we know it, was about to change. Chaos was in charge!